Open only by audition, this ensemble represents the premier musicians at Jesuit High School. 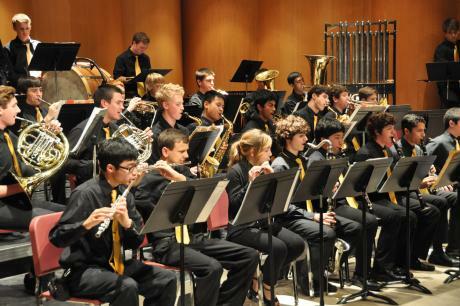 Symphonic Band is a varsity level performing group at Jesuit that is designated for band students with a minimum of three years of ensemble experience. This ensemble focuses on the preparation of music in a variety of types and styles for public concerts and other events, and on the development of ensemble techniques (tone, rhythmic accuracy, technical facility, articulation, intonation, blend, balance, and musical expression). This course requires an even greater commitment of time towards practice and musicianship, as enrollment is limited by instrumentation and more students audition than there are spots available for them. Students are required to participate in all appearances by the Marauder Band.